“For the second time in eight months, a last-minute injury has obstructed Conor McGregor’s shot at a title. Less than a year ago, it was Jose Aldo who was forced to pull out of his featherweight title defense due to a rib injury. This time around, it was Rafael dos Anjos who had to bow out of defending his lightweight title after breaking his foot. Now, McGregor will make his welterweight debut — no title on the line — against late substitute Nate Diaz in the UFC 196 main event on Saturday at the MGM Grand Garden Arena in Las Vegas. This will be McGregor’s first fight of the year; he was last in action in December, when he put on a dominant drubbing of longtime featherweight king Aldo. The Irishman is coming off of a breakout 2015 campaign, the first year he fought more than twice since joining the Ultimate Fighting Championship. Diaz has been relatively inactive recently, fighting only twice in the last two calendar years. The longtime Zuffa veteran and “The Ultimate Fighter 5” winner is nearing his nine-year anniversary in the UFC, a career that has seen several stints of varying successes and failures. Since challenging for Benson Henderson’s lightweight title in 2012, Diaz has gone 2-2, suffering his first and only TKO loss along the way. He was last in the Octagon in December, only a week after McGregor iced Aldo, taking a hard-fought decision over Michael Johnson. 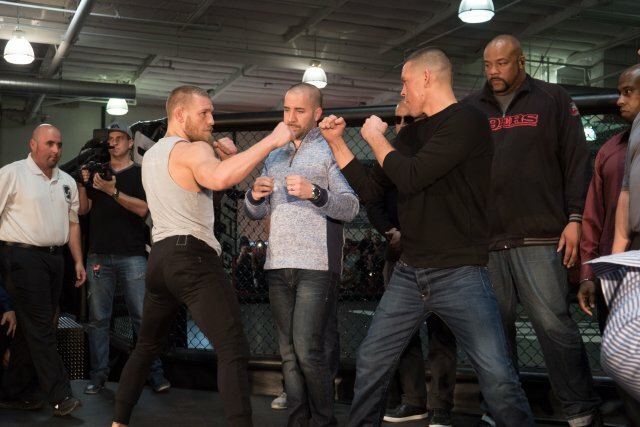 Immediately after the fight, Diaz unleashed an expletive-filled challenge to McGregor, which made the Cesar Gracie disciple a natural replacement for the injured dos Anjos.